The Dharma provides a direct path for realization and an awakened life. Dharma refers to the truth at the heart of reality, the natural law, the path and the teachings. Based on the Buddha’s Teaching, it is a way to be liberated from suffering- to step off the wheel of samsara- and to find happiness through realizing our true nature. The teachings support us to live in a virtuous way, where we are practicing to end the cause of suffering in ourselves and toward others, and to live in benefit for all beings. The practice of awareness and direct experience is at the core of Insight Meditation. Mindfulness means being aware, to bring non-judgmental attention toward what is present, what we are experiencing in our bodies, minds, emotions and our environment. When we are aware of what is happening within and around us, without rejecting or grasping, or judging and denying- we are more able to be present and can relate from an open heart, clear mind and relaxed body to ourselves and in the world. Some of the known results of mindfulness practice are: stress reduction, relaxation and a greater ability to meet what is arising within and around us. Basic mindfulness practice is successfully being used in many areas such as hospitals, schools, in leadership, for therapy and everyday life. The practice of Meditation allows our inherent and natural qualities of wisdom, compassion, love, joy, equanimity, clarity and peace to emerge. Meditation benefits us in numerous ways and is essential for a genuine spiritual path. It helps to find ease in letting go, to discover inner wisdom and guidance, to embrace and meet challenges and suffering with skillful means and to experience joy. It supports to face and embrace ourselves and move beyond reaction to responding from our center. Meditation offers an open door into who we really are, to enter into truth, to be fully present and live in connectedness with all of life. 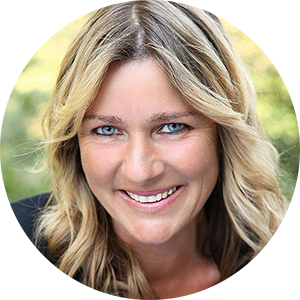 Nicola Amadora teaches with heart, authenticity, aliveness and transmits even the most illusive teachings and profound practices into a simple, grounded and accessible way for people from different walks of life. Nicola is able to bridge what is essential into relationships, parenting, women, work and everyday life. She enjoys to draw forth your wisdom, to awaken the love in your own heart and to inspire people to live in a beneficial way in our world. Nicola has been actively teaching the Dharma, Mindfulness and Meditation to many groups in different settings for over 15 years. She has been practicing Meditation for 30 years on a daily basis and has extensively trained in the Vipassana, Zen, Non- Dual Wisdom and Tibetan traditions with renowned teachers. She is a certified Dharma leader from Spirit Rock, the Insight Meditation Center in California, established by Jack Kornfield. Nicola is teaching in Dharma centers, for various groups and offers individual guidance for the path. At workplaces, for private groups and individuals, Nicola Amadora offers solid meditation instruction (non-religious and non-sectarian) and mindfulness practice.